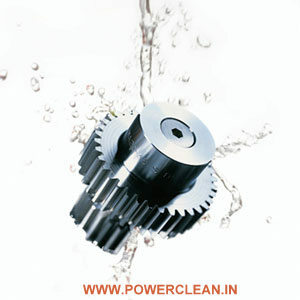 POWER CLEAN Cleaning Solvents are excellent solvents that can be used in various application to clean components. Excellent removal of Oil, Grease, Dirt , Dust e.t.c. Excellent hydrocarbon based Solvent Cleaner and has proven to be very versatile to clean a wide range of contaminants such as (not limited) Oil, Heavy Grease, Coolants e.t.c that are typically found in many component manufacturing units. PC S303 Solvent Cleaner can replace a wide variety of other cleaning solvents such as chlorinated solvents & mineral sprits. PC-S 303 is not a Ozone depleting solvent and non flammable. Application Use : Spread PC-S 303 Solvent on the component to be cleaned using spray or immersion and bursh of any remaining contaminents on the component.